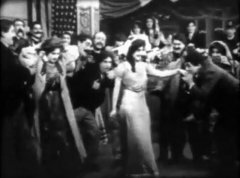 Florence Lawrence causes a furor at the party. 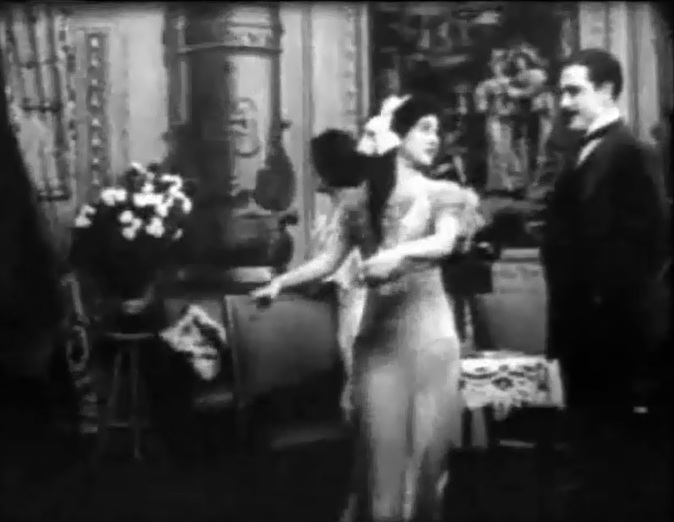 Arthur Johnson is seen on the left. 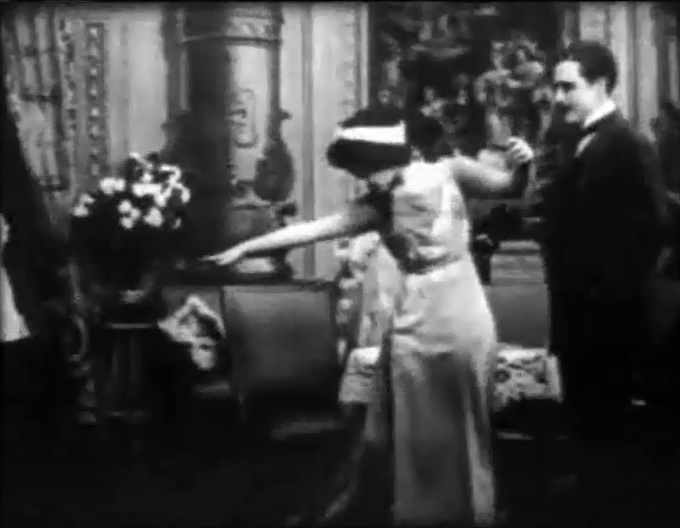 "The Lure of the Gown" is a short comedy directed by D.W. Griffith. The film is included in our program to illustrate the work of three of our stars: actress Florence Lawrence, actor Arthur V. Johnson and cinematographer Billy Bitzer. 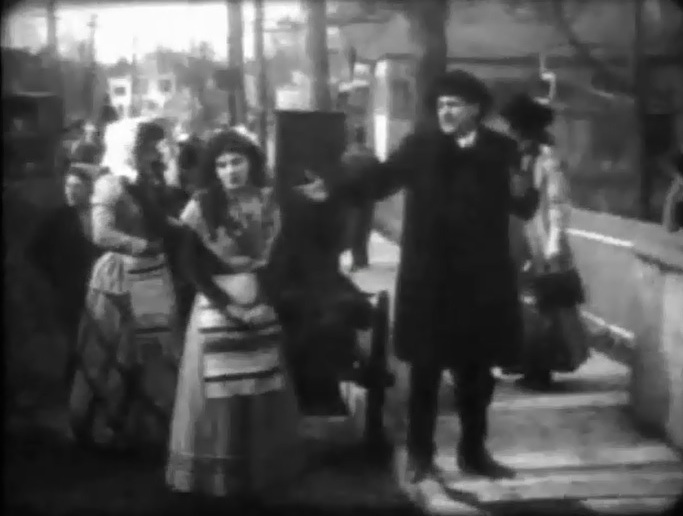 Billy Bitzer shares the cinematography credit with Arthur Marvin. Florence Lawrence is the star in the film, while Arthur V. Johnson plays a smaller role as a party guest. A girl gets dumped by her boyfriend for a finely dressed woman, but manages to turn her fortunes around. 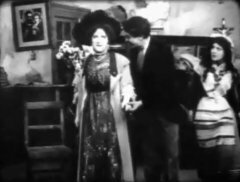 Florence Lawrence watches in shock as her beau Harry Solter courts Marion Leonard in "The Lure of the Gown" (1909), directed by D. W. Griffith. 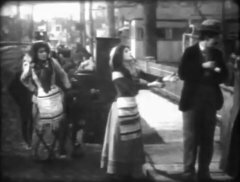 Harry Solter was Florence Lawrence's first husband in real life. 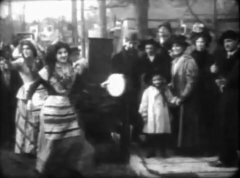 Florence Lawrence dances for the street crowd in "The Lure of the Gown" (1909), directed by D. W. Griffith. Florence Lawrence rejects a potential suitor in "The Lure of the Gown" (1909), directed by D. W. Griffith. 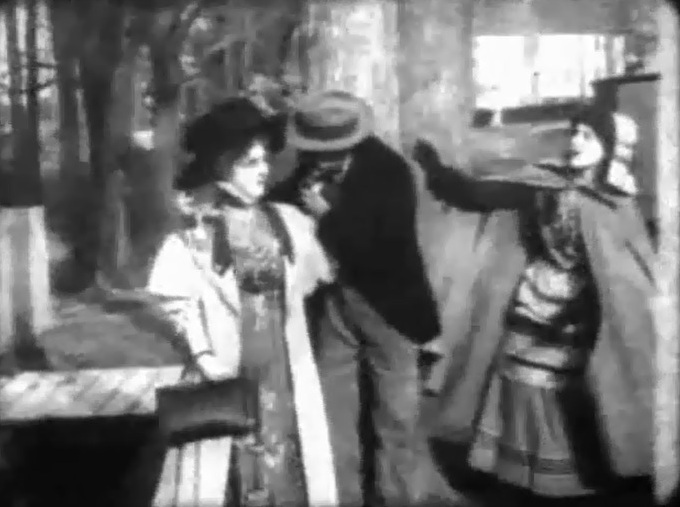 Florence Lawrence meets again Harry Solter and Marion Leonard in "The Lure of the Gown" (1909), directed by D. W. Griffith. Florence Lawrence tries in vain to win her boyfriend back in "The Lure of the Gown" (1909), directed by D. W. Griffith. 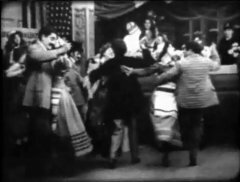 Florence Lawrence tries in vain to win her boyfriend back one more time in "The Lure of the Gown" (1909), directed by D. W. Griffith. Florence Lawrence delights in a beautiful dress in "The Lure of the Gown" (1909), directed by D. W. Griffith. 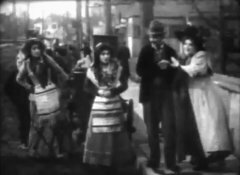 Florence Lawrence learns to walk in a long dress in "The Lure of the Gown" (1909), directed by D. W. Griffith. 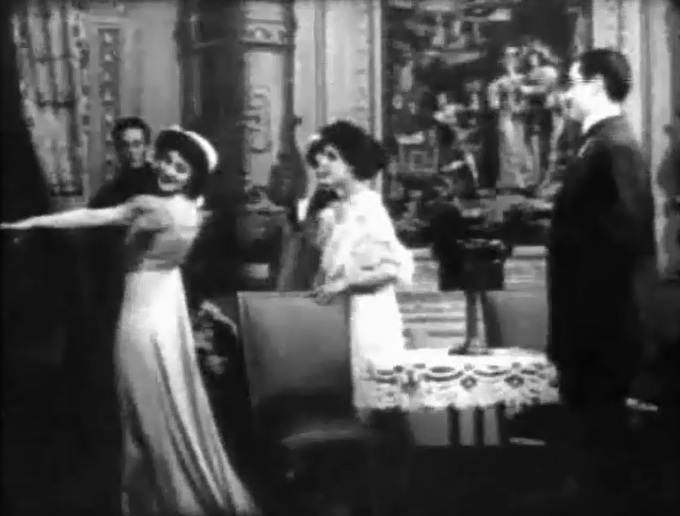 Florence Lawrence checks the effect of her new look in "The Lure of the Gown" (1909), directed by D. W. Griffith. 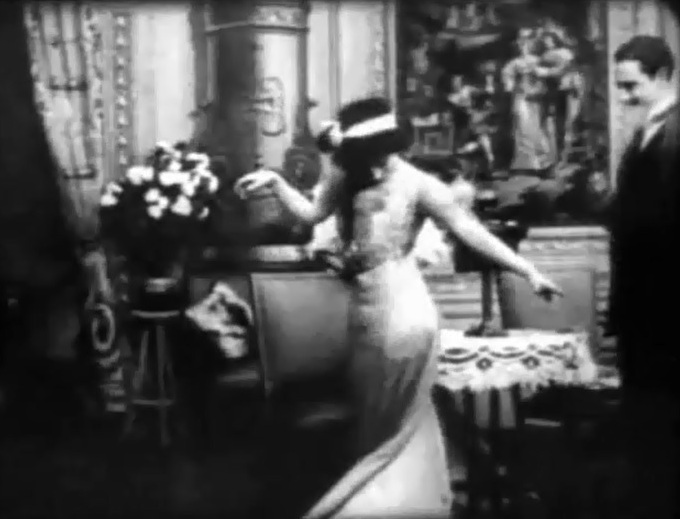 Florence Lawrence likes her transformation in "The Lure of the Gown" (1909), directed by D. W. Griffith. Arthur Johnson is the dancer with mustaches on the left in "The Lure of the Gown" (1909), directed by D. W. Griffith. Florence Lawrence causes instant furor in "The Lure of the Gown" (1909), directed by D. W. Griffith. Arthur Johnson is seen on her left.